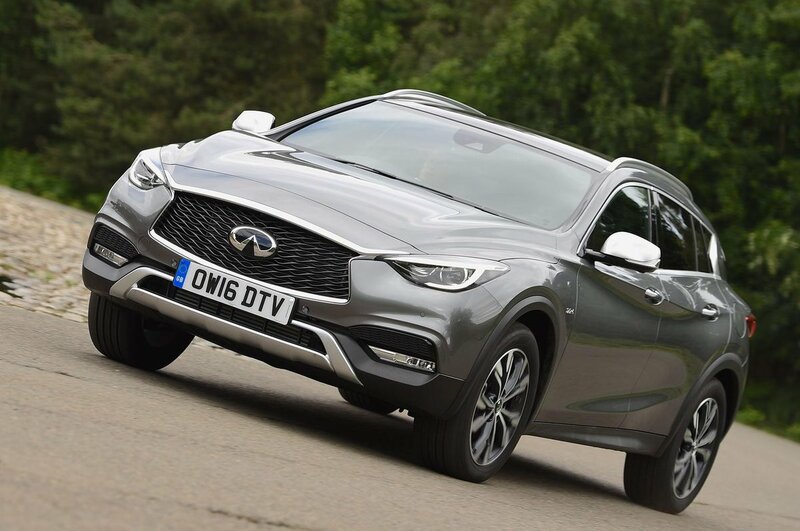 Infiniti QX30 Boot Space, Size, Seats | What Car? The QX30's front passengers have little to complain about. There's lots of leg room if they need it, and even the very tall won't find themselves in too close proximity to the ceiling. There's less good news in the back. Even average-sized adults will feel quite cramped, with their knees virtually touching the front seat backs, and the lowering roofline close enough to make it feel slightly claustrophobic. To sit three adults side-by-side is outright uncomfortable, and the middle passenger has a backrest and raised floor to contend with. You also don’t get a centre rear armrest or ski hatch on the Premium trim, and they can’t be added as options. The QX30's boot is more impressive. It holds its own versus the main competition for overall size, and its square shape means there are no awkward intrusions to consider. Conveniently, the 60/40 split rear seats fold almost flat quite easily, but there’s none of the versatility or useful utilitarian touches that often appeal in the SUV classes, such as the BMW X1’s 40/20/40 split rear seats with optional sliding function.